Every now and then something comes along that is SO ridiculous that it demands posting, just in case it should disappear from its original location. This certainly fits the bill. Below is a list of demands published by someone who is part of the Occupy Wall Street movement. Whatever credibility they hoped to have, just went out the window. Here’s the list. Are you sitting down? Feel free to give Lloyd a call to discuss or acquiesce to his demands. He’s waiting for you. 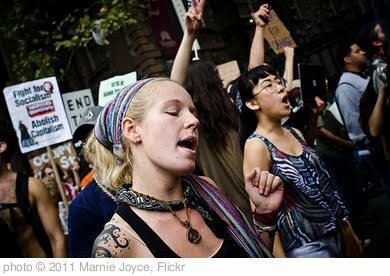 Original Post: Proposed List Of Demands For Occupy Wall St Movement! | OccupyWallSt.org Forum. « Biden Makes Me Smile…Often.